Do you spend most of your day sitting, travelling or in a sedentary role? Perhaps you are experiencing aches and pains due to poor posture? 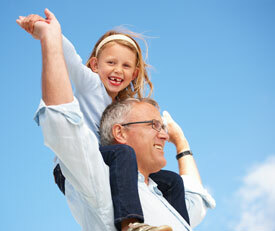 Chiropractic care should be considered a crucial part in maintaining a healthy and pain free lifestyle. There are many benefits of postural correction including a reduction in pain, increased energy, better breathing, improved circulation and less wear and tear on your joints. There are many different types of postural faults and using chiropractic adjustments we are able to correct and reverse the causes of bad posture. We have regular enquires asking if we can help with poor posture or if we treat dowager’s hump or gibbus. We have compiled the following information to help explain some of the challenges that we can address. Many clients find that their posture deteriorates over time and some say that they have had poor posture for as long as they can remember. Chiropractic care has a unique advantage when helping clients to improve their posture – poor posture is a sign that the spine, muscle structure and coordination has changed and is not working well. How Should it all Work? Each of your spinal joints should sit in a neutral position helping balance the way that your spine bears weight. When you enjoy good posture your weight is borne easily without effort and there is less stress on the joints. Within each of these joints there are nerve sensors that let your brain know that they are positioned correctly. These are known as proprioceptors and help your motor system create accurate balance. Over time the position of these joints can change due to long periods of sitting, inadequate exercise, stress or other injury. Our bodies constantly adapt to reflect what we experience. The joints adopt a new position and importantly the brain recognises this new position as the ‘new normal’. Ligaments, muscles and joints change over time, further embedding this new position as normal. Now when you sit or stand up straight you are aware the posture is correct but that it no longer feels normal and relaxed. If degeneration has not started within the joints then it is usually possible to improve posture, reverse these changes and straighten the spine, restoring graceful movement. At Inspired Chiropractic we use laser equipment to measure and record postural change and structural analysis. With the use of special joint tests and range of motion studies we can help restore proper joint motion, guide you with stretches and appropriate exercises and ensure that good nerve firing occurs with proprioception. With restored joint movement, strength and position, clients often report that they are straighter, stronger, more flexible and more coordinated. Take the first step and call today for your appointment. Take a moment to look at our Google Reviews. Chiropractic care can help. Call us on 01603 764777 or email at reception@inspiredchiropractic.com make a convenient time for you to see the chiropractor.